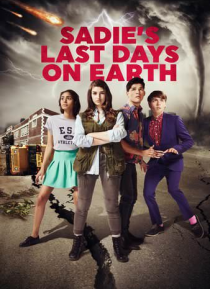 Everything in high school is like the world ending and Sadie Mitchell's crippling fear of the coming apocalypse is the heightened version of that. Undeterred by the naysayers, Sadie has two weeks to ready herself before doomsday. She needs to master survivalist cuisine, learn to sew, but there are other things... personal things: go to a high school party, kiss a boy, and most importantly, get her… best friend back.